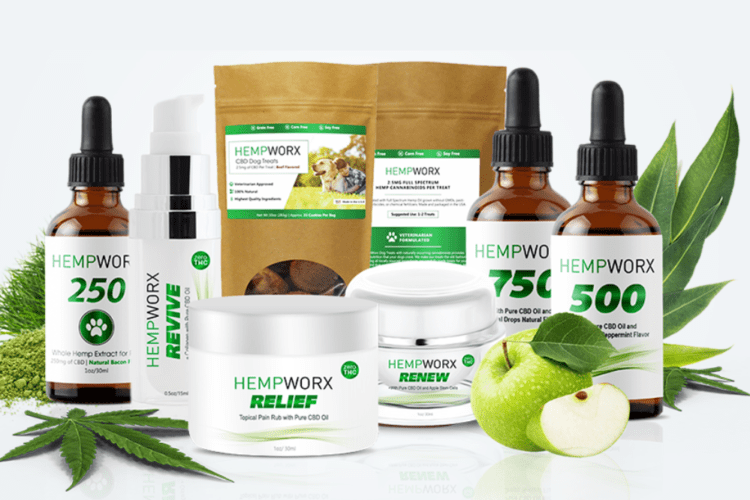 In this review on Hempworx Hemp Oil For Dogs, we will take a quick look at the use of CBD Oil when itcomes to your furry friends. It can be a healing solution for humans and animals/birds alike. Read on. Cannabidiol (CBD) is an active component found in the hemp plant and it is quickly ‘making a name for itself these days and is one of the biggest trends in the health and wellness industry. Why? Because it’s known for its wide scope of benefits and mounds of scientific data that show little to no side effects. 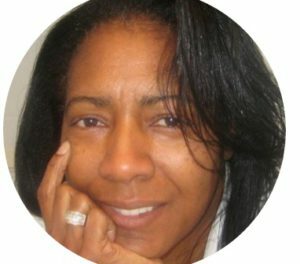 There are few benefits to having the CBD Oil in some products or even just the oil itself. 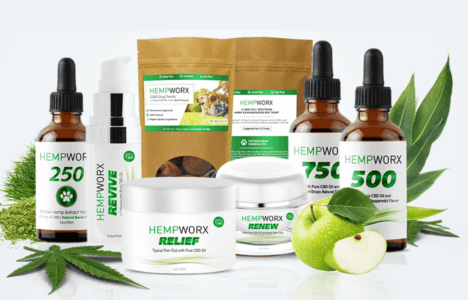 What Is Hempworx 250mg Hemp Oil For Dogs? Not only can you use CBD Oil for humans, but also for animals – quite frankly in my opinion for anyone who needs to optimize their health and the health of those they care about – two or four legs! 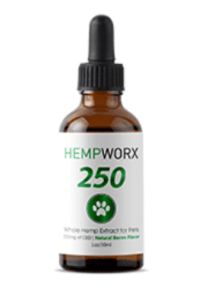 Hempworx Hemp Oil for dogs has 250mg of active CBD Oil in each serving. The oil is made from pressed hemp seed and is rich in essential fatty acids. It has full-spectrum CBD Oil that is produced in the blue-grass Kentucky area. Without a doubt, full spectrum CBD Oil is the main player here for your four-legged friends. There can be two types of CBD Oil production: full spectrum or isolate. The different compounds work together synergistically to create the entourage effect – a wider therapeutic range. Higher concentration of CBD per bottle. No entourage effect and a smaller therapeutic range. Pressed hemp (seed)oil, CBD-rich whole hemp extract, natural bacon flavor. FDA Disclaimer: These statements have not been evaluated by the Food and Drug Administration. These products are not intended to diagnose, treat, cure or prevent any disease. MyDailyChoice, Inc. assumes no responsibility for the improper use of and self-diagnosis and/or treatment using these products. Our products should not be confused with prescription medicine and they should not be used as a substitute for medically supervised therapy. Before taking our products, it’s wise to check with your Veterinarian. The use of any of our products for any reason, other than to increase general health & wellness, is neither, implied nor advocated by MyDailyChoice, Inc.
You can purchase MyDailyChoice Hempworx 250 Hemp Oil For Dogs by accessing this LINK. ALL HEMPWORX PRODUCTS COME WITH A 60-DAY EMPTY BOTTLE GUARANTEE. So, there is no reason not to give this a try! And let’s face it, your pet will let you know. This is a session being recorded by the owner Josh Zwagil. Product Disclaimer: These statements have not been evaluated by the Food and Drug Administration. 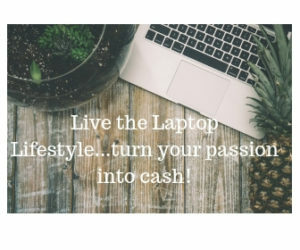 If you try MyDailyChoice Hempworx 250 for Dogs and your beloved furry friend gives its OK, then on his behalf, you might also be interested in the business opportunity that the company offers to any customer.